Someone asked yesterday on Facebook if I had any books to help explain autism to a high functioning ASD pre-teen. Well yes indeed I do! I’ve actually been asked this question a number of times over the years and had started a little list a while ago on my phone. I have lists of books on themes everywhere, or so it seems to me, and never get round to publishing these lists – but when I woke at 4am this morning I slammed this out…then made pancakes. I probably should have gone for a long walk but instead I blogged and ate :). These are all books I’ve seen, read or have in my school library. I’m sure there are hundreds more – do let me know in the comments if you know of others. 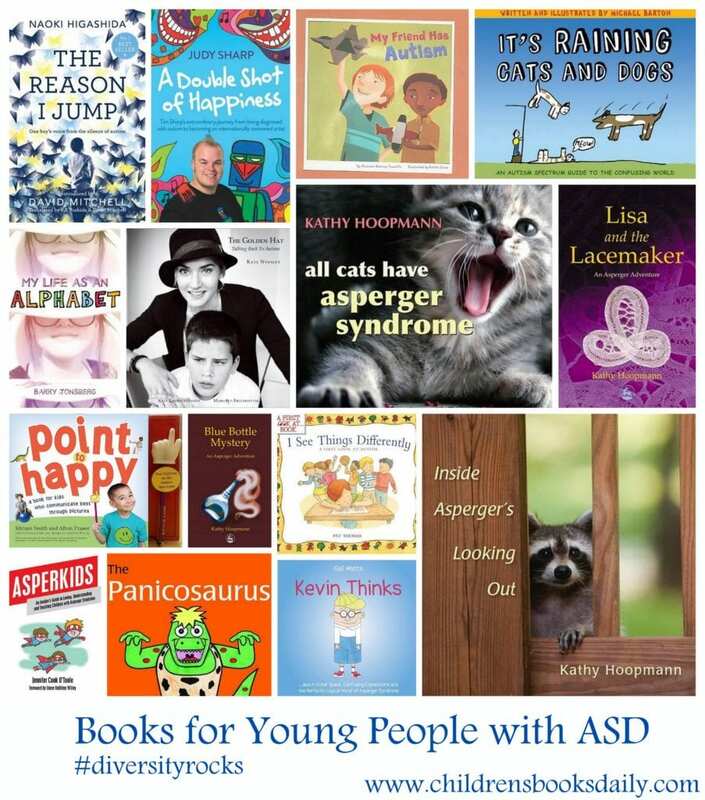 These are also not handbooks for parents or teachers, these are fiction or non-fiction stories of people living with ASD or based on people with ASD. 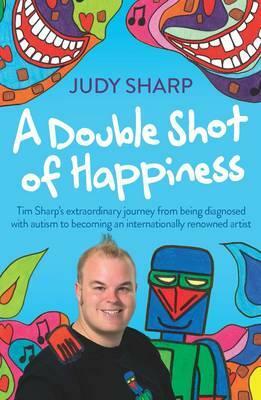 I saw the story of Tim Sharp (below), better known as ‘Laser Beak Man’ on television recently and have added the book by he and his mother Judy to my pile of Christmas holiday reading – such an inspiring story! I think this one would be a good one to start with. To purchase these books or read more about each title, click on title link or cover image. When Judy Sharp took her three-year-old son Tim to a pediatric specialist she was told that his autism was so severe he would never be able to communicate with her, talk or learn to live in a normal household. The advice at the time was that he would be better off in an institution. More than twenty years later, Tim is a world-famous artist, whose joyful paintings and drawings involving the super hero he created, Laser Beak Man, have been exhibited around the world. Laser Beak Man’s appeal is so widespread it’s gone on to inspire, among other things, an eight part animated children’s TV series and an off-Broadway play in New York. Ultimately a triumphant story of love and hope that will inspire and delight everyone who reads it. Written by Naoki Higashida when he was only thirteen, this remarkable book provides rare insight into the often baffling behaviour of autistic children. Using a question and answer format, Naoki explains things like why he talks loudly or repeats the same questions, what causes him to have panic attacks, and why he likes to jump. He also shows the way he thinks and feels about his world – other people, nature, time and beauty, and himself. Abundantly proving that people with autism do possess imagination, humour and empathy, he also makes clear how badly they need our compassion, patience and understanding. This book gives an exceptional chance to enter the mind of another and see the world from a strange and fascinating perspective. Author Barry Jonsberg never names Candice as ASD – and this is something I particularly love about this STUNNING book. In fact, she may or may not be ASD! Introducing Candice Phee: twelve years old, hilariously honest and a little … odd. But she has a big heart, the very best of intentions and an unwavering determination to ensure everyone is happy. So she sets about trying to ‘fix’ all the problems of all the people [and pets] in her life. Laugh-out-loud funny and wonderfully touching, My Life as an Alphabet is a delightful novel about an unusual girl who goes to great lengths to bring love and laughter into the lives of everyone she cares about. Through engaging text and full-color photographs, this book shows neurotypicals how Aspies see and experience the world. Each page brings to light traits that many Aspies have in common, from sensitive hearing and an aversion to bright lights and strong smells, to literal thinking and difficulty understanding social rules and reading body language and facial expressions. 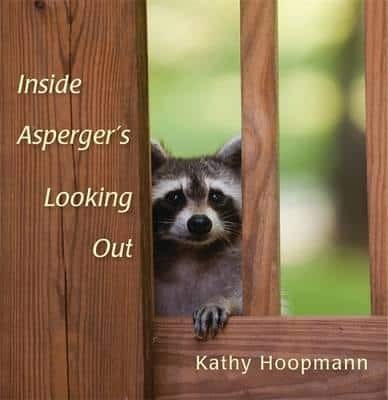 At the same time, the book highlights and celebrates the unique characteristics that make those with Asperger’s Syndrome special. This is the perfect introduction to the world of Aspies, told from their own perspective, for the people in their lives: including family, friends, and classmates. Those with Asperger’s Syndrome will also appreciate this book for the way it shares their own singular perspectives on life. When Lisa discovers a derelict hut in her friend Ben’s backyard, she delights in exploring the remnants of an era long gone. Imagine her surprise when Great Aunt Hannah moves into a nursing home nearby, and reveals that once she was a servant in those very rooms. The old lady draws Lisa into the art of lace making and through the criss-crossing of threads, Lisa is helped to understand her own Asperger Syndrome. But Great Aunt Hannah also has a secret and now it is up to Lisa to confront the mysterious Lacemaker and put the past to rest. The English language can be extremely confusing and illogical, especially for people with an autism spectrum disorder (ASD) who interpret meaning in a very literal way. Why should an announcement that cats and dogs are falling from the sky indicate heavy rain? And what have chickens got to do with being a coward? It’s Raining Cats and Dogs is a witty and stylish insight into the mind of someone with an ASD. It beautifully illustrates why people with ASDs have problems understanding common phrases and idioms that others accept unquestioningly as part of everyday speech. The quirky drawings will entertain and inspire those on the spectrum, giving them the confidence to recognise figures of speech, feel less alienated and even use idioms themselves. The drawings will form instantly memorable references for those with ASDs to recall whenever they need to and will be helpful for anyone curious to understand the ASD way of thinking. Doctors told Margret Dagmar that her son Keli, who lives with a severe form of non-verbal autism, would never be able to communicate; she was told that he would be best off locked in an institution for the rest of his life. Keli now composes beautiful and deeply moving poetry; one poem Keli wrote is called “The Golden Hat,” which describes a magical hat that enables an autistic boy to communicate. Inspired by Keli’s poem, Kate Winslet developed a way to raise awareness and funds to support autism outreach. Her project asks friends to pass a hat-chosen from Kate’s closet-from one to another, after they’ve each taken a self-portrait wearing it. The list of those photographs includes Angelina Jolie, Steven Spielberg, Oprah, Sting, Daniel Craig, and many more. As a parent, a teacher and an Aspie herself, Jennifer O’Toole provides the definitive insider’s view of Asperger syndrome. 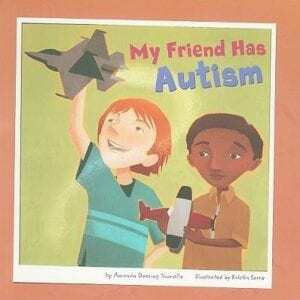 She shows how to help children on the spectrum by understanding how they think and by exploiting their special interests to promote learning. Her strategies work because she thinks like the children that she teaches. This exciting book is full of effective and fun ways of engaging with children with Asperger syndrome. Jennifer explains how theory of mind difficulties create the need for concrete forms of communication, and provides original methods to inspire imagination through sensorial experiences. In particular she reveals the untapped power of special interests, showing how to harness these interests to encourage academic, social and emotional growth. Affirming that different doesn’t mean defective, this book offers the insight and guidance that parents, educators, and other professionals need to connect with the Asperkids in their life and get them excited about learning. Click on covers to read more and purchase. I literally have tears in my eyes. Thank you soooo much Megan. I have had the worst few days and I am so grateful for the Internet and that I was able to find you through Eden. I really appreciate you writing these all down. Oh gosh no worries AT ALL! The internet is a marvellous place indeed to find like-minded souls.